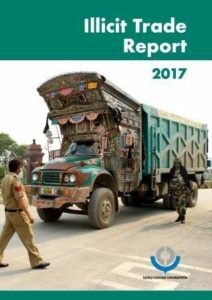 The World Customs Organization (WCO) released today the 2017 Illicit Trade Report, the annual publication in which the Organization tries to quantify and map the situation concerning illicit markets in the following six key areas: Cultural Heritage; Drugs; Environment; IPR, Health and Safety; Revenue; and Security. Since its inception in 2012, the Illicit Trade Report has aimed to contribute to the study of the phenomenon of illicit trade through the analysis of seizure data and case studies voluntarily submitted by Member Customs administrations from around the globe to the WCO though the CEN database. In the 2017 edition of the Report, the WCO continues to explore the immense possibilities offered by advanced data visualization technologies in order to make the data ‘talk’ to the readers. For the second year in a row, the WCO has continued its partnership with the Center for Advanced Defence Studies (C4ADS), a nonprofit organization dedicated to providing data-driven analysis and evidence-based reporting. “Better understanding current cross-border criminal activities is critical to the success of enforcement efforts and with this Report we wish to make our contribution towards building knowledge on illicit trade as well as to provide an overview of the Customs community’s efforts to secure global trade”, said the WCO Secretary General, Kunio Mikuriya. He also voiced his gratitude to the 133 Customs administrations that reported their seizure data to the WCO CEN database, to the benefit of all those involved in fighting illicit trade.